One of the many goals of our newsletter is to inspire public discussion about legal topics of personal and public concern and the proper role of the 18,000 practicing lawyers in Ontario, the Law Society of Upper Canada and the judicial system. Many of the articles will underscore the need to reform the Law Society’s complaints and discipline process and its ineffective self-governance and the need for an independent body to impartially adjudicate all complaints and grievances. The attraction behind prepaid legal plans is that it appears to offer the middle class an affordable means of acquiring legal services. It has been the subject of a fair bit of controversy over the years, hence our 12 months of research. The Dirty Lawyer Registry has logged numerous calls regarding this service, which is now offered in Ontario. Read about senior partners: Donald Mills, J.Paul Mills Q.C., Nancy E. Mills, Robert A. Cobham Q.C., and the Firm's involvement in Case 03CL4856 and 01-01-0835. Mr. Justice Pitt makes the following observations as show in points  and  . These and other legal proceedings can be found on the Canadian Legal Information Institute web site. Mills and Mills were offering a special gift for signing up with PPL (see copy). Mills and Mills LLP is the oldest family run law firm in Canada dating back to 1894. There has always been a presence of the Mills family in the firm, now in its fourth generation. The Mills and Mills law firm claims that it was "founded on the fundamental principle of providing excellent legal services at a reasonable cost." After reading the above mentioned judgements, one may now realize why this statement is part of the History of the firm, however Mills & Mills claims this is still a part of present day practice. 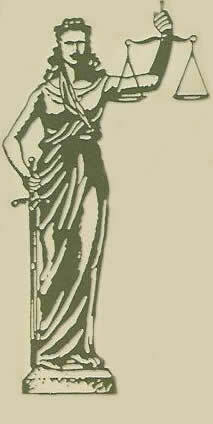 The senior partners and the firm Mills and Mills are presently in good standing at the Law Society of Upper Canada. There is no disciplinary history in respect to the Firm or its lawyers. A call or e-mail to the Law Society of Upper Canada can confirm the status of any lawyer practicing in Ontario, The Law Society can also confirm if there are ongoing disciplinary proceedings, however they will not disclose the number of complaints against a member of their society, nor how many were actually investigated. Fax or e-mail us with your experience or further information on this topic.